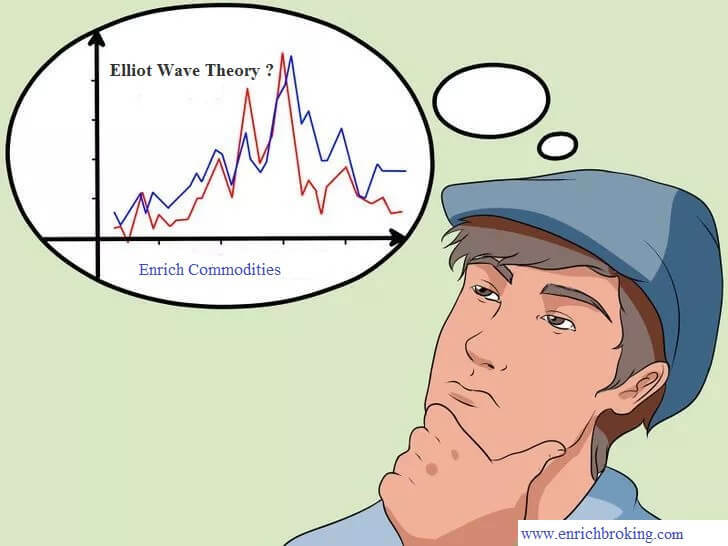 Elliot Wave Theory: What does it mean? 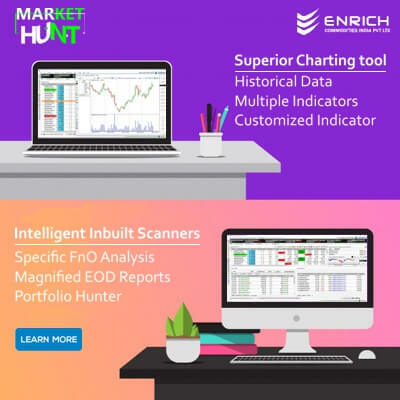 This is a technical analysis that can be used to evaluate financial market cycles and project market trends by determining the investor psychology (positive or negative), highs and lows in prices, and other collective factors. The Elliot Wave Principle is established on a repeating 9-wave cycle. 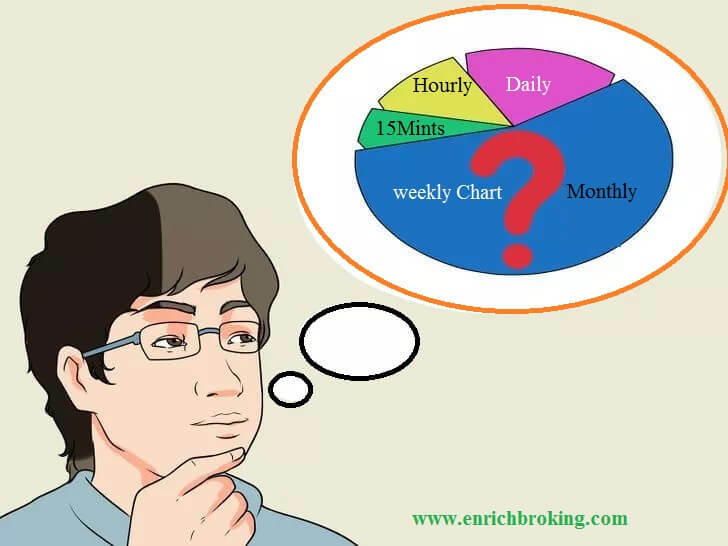 The cycles will exercise the time frames which include five-minute or monthly, weekly, yearly and any actively traded market included commodity futures, stocks, indexes and mutual funds. Elliott detected nine degrees of waves, from the smallest twist on an hourly chart to the largest wave he could assume existed from the data then available. All waves were classified based on size or degree. He assigned names from largest to smallest. We need to be familiar with the following concepts mentioned below. Impulse Trend: It normally spreads out in five waves. Five-wave impulse trends are normally made in the direction of the larger degree trend. Counter-Trend: It normally spreads out in three-waves. A counter-trend is a correction to the prior impulse trend. Waves of Similar Degree: This is also known as swings of similar degree. They serve as subdivisions that form a completed structure. In an impulse trend, waves one-five are the waves of similar degree. The subdivisions of each wave are waves of a smaller degree. Subdivisions of a Wave: Any given wave may subdivide into smaller degree waves to complete the structure of the wave. For Example: Wave-1 of a five-wave impulse trend usually subdivides into five waves of lesser degree. We need to be aware of how each wave of a trend or counter-trend normally subdivides. R.N.Elliott strategized to acknowledge multiple degrees of wave structure. When the subdivisions of a wave are complete, the larger degree wave is complete. 1.This is the pictorial representation of the Elliot Wave Theory. 1, 3, and 5 are impulses, and waves 2 and 4 are smaller retraces of waves 1 and 3. 2.Corrective waves subdivide into 3 smaller-degree waves; 5-A, A-B and B-C.
3.Any move can be observed as one complete Elliot Wave Cycle. What is Elliott Wave Analysis? They are characterized chart patterns which are useful to indicate whether the market is in a trend or counter-trend. This helps us to determine the direction of the main trend. Each pattern has an indication regarding the position of the market and the result of the current position. This helps us to regulate the maximum distance away from the market to place the protective stop-loss. 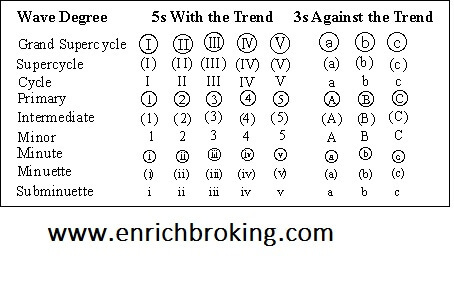 Most trends unfold in Five waves in the direction of the trend and three waves or combinations of three waves in the direction counter to the main trend. Markets usually unfold in three’s and five’s. 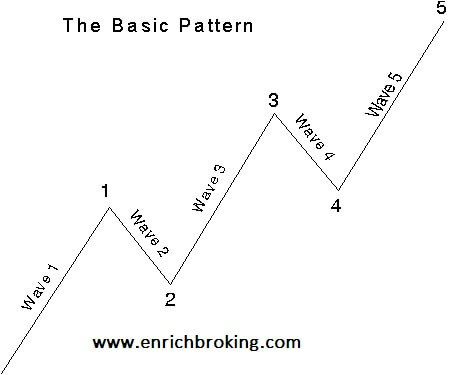 Five wave patterns are impulsive or trend structures. Three wave patterns are corrective or counter-trend structures. A five-wave impulse trend and three wave or more complex counter-trend each has a characteristic structure. A clear objective of Elliott wave analysis is to perceive in the early stages of the wave structure whether it is more likely to be an impulse or a counter-trend. These three guidelines are most suited to daily closing data. Wave-2 should not exceed the beginning of Wave-1. Wave-2 should not make greater than a 100% retracement of Wave-1. Wave-3 should not be the shortest of the three impulse waves in a five-wave impulse trend (waves 1, 3 and 5). Wave-4 should not make a daily close into the closing range of the Wave-1. These guidelines are useful to qualify or disqualify a potential pattern. Even when using intraday data, we need to be aware of the pattern and guidelines relative to the daily closing data. Why is pattern analysis an important part of the Dynamic Trading approach to technical analysis? 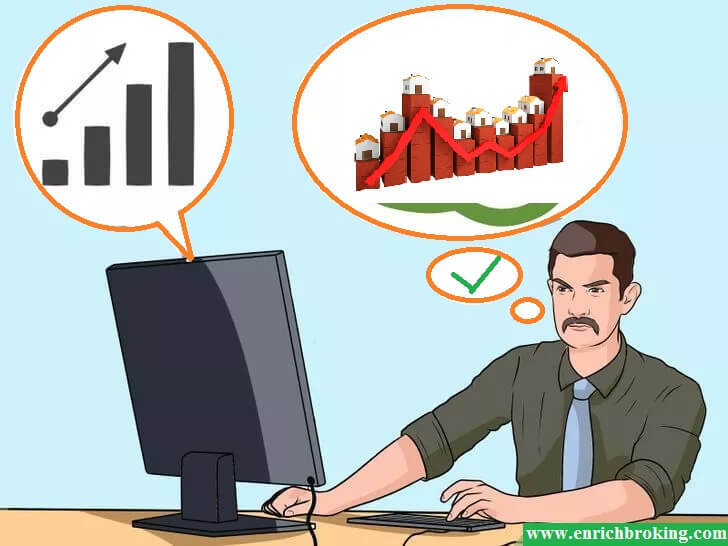 In order to check if a market is in a trend or counter-trend is regulated with the help of pattern analysis. The position of the market within a trend or counter-trend is regulated with the help of pattern analysis. The time and price objectives of the current trend or counter-trend are highlighted with the help of pattern analysis. What do we analyze and implement? Invest the money in those stocks when the upward trend of these stocks start. Booking of Profit as the downtrend starts in the stock. 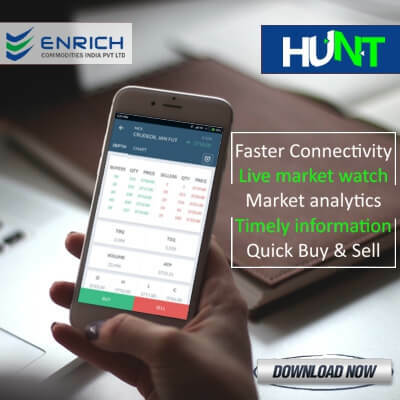 The uptrend and down trend of these stocks are evaluated on the base of the stock charts ,total market capitalization of the stock and the public interest for that particular stock. Metastock/Ami Broker chart , Fibonacci and moving averages are considered to evaluate these breakpoints with help of the software. Wave personality is a sizable expansion of the Wave Principle. 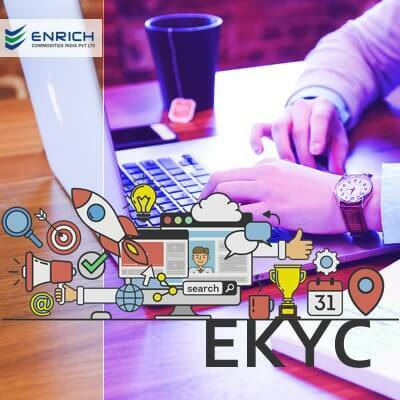 It has the implication of joining human personality into the comparison and increasing the service of standard technical analysis. The progression from pessimism to optimism and back again produces similar circumstances at corresponding points in the wave structure. The wave type is usually manifested whether the wave is of Grand Supercycle degree or Subminuette. This apprises the analyst what to expect in the next array and also one’s current in the progression of waves. As waves are in the process of spreading out, there are times when different wave counts are perfectly justifiable under all Elliott guidelines. At this point that the ability of wave personality can be priceless. If the analyst understands the nature of a single wave, he can interpret the complication of the larger pattern. The following discussions relate to an underlying bull market picture, as illustrated in Figures 2-14 and 2-15. These observations apply in reverse. 1) First waves: About half of first waves are part of the "basing" process and thus tend to be rectified by wave two. In contradiction to the bear market rallies within the previous decline, the first wave rise is technically more effective. Mostly shows a slight increase in volume and breadth. Short selling is an indication that the overall trend is down. Investors take advantage of one more rally to sell on. The other fifty percent of first waves rise from either large bases formed by the previous correction, as in 1949, from downside failures, as in 1962, or from extreme compression, as in both 1962 and 1974. From such beginnings, first waves are effective and only backtrack reasonably. 2) Second waves: Second waves backtracks so much of wave one that most of the improvement up to that time is destroyed by the time it ends. This is appropriate of call option purchases, as premiums decline due to anxiety during second waves. Investors believe that the bear market is back to stay. The outcome of second waves is downside non-confirmations and Dow Theory "buy spots," when low volume and volatility indicate a drying up of selling pressure. 3) Third waves: They are strong and broad, and the trend at this point is indisputable. Third waves usually generate the greatest volume and price movement and are most often the extended wave in a sequence. It follows, of course, that the third wave of a third wave, and so on, will be the most volatile point of strength in any wave sequence. Such points produce breakouts, "continuation" gaps, volume expansions, exceptional breadth, major Dow Theory trend confirmations and runaway price movement, creating large hourly, daily, weekly, monthly or yearly gains in the market, depending on the degree of the wave. Besides the personality of "B" waves, that of third waves produces the valuable clues to the wave count as it spreads out. 4) Fourth waves: Fourth waves forecast in both depth and form, because by alternation they should differ from the previous second wave of the same degree. They trend sideways, building the base for the final fifth wave move. Lagging stocks build their tops and begin dropping during this wave. This initial decline in the market makes the platform for non-confirmations and slight indications of weakness during the fifth wave. 5) Fifth waves: Fifth waves in stocks are less effective than third waves in terms of breadth. They normally show a slower maximum speed of price change even if a fifth wave is an extension, speed of price change in the third of the fifth can top that of the third wave. Similarly, while it is common for volume to increase through successive impulse waves at Cycle degree or larger, it normally happens below Primary degree only if the fifth wave extends. Sometimes they call for "blowoffs" at the end of long trends, but the stock market has no history of reaching maximum acceleration at a peak. Even if a fifth wave extends, the fifth of the fifth will lack the effectiveness of what preceded it. During the advancement, optimism prevails. Nevertheless, market action does improve relative to prior corrective wave rallies. For instance, the year-end rally in 1976 was unexciting in the Dow, but it was nevertheless a motive wave as opposed to the preceding corrective wave advances in April, July and September, which, by contrast, had even less influence on the secondary indexes and the cumulative advance-decline line. As a monument to the optimism that fifth waves can produce, the market forecasting services polled two weeks after the conclusion of that rally turned in the lowest percentage of "bears," 4.5%, in the history of the recorded figures despite that fifth waves failure to make a new high! 6) "A" waves: During "A" waves of bear markets, investors are convinced that this is just backtracking pursuant to the next leg of advance. The "A" wave sets the tone for the "B" wave to follow. A five-wave A indicates a zigzag for wave B, while a three-wave A signals a flat or triangle. 7) "B" waves: "B" waves are phonies. They are sucker plays, bull traps, speculators paradise, orgies of odd-lotter mentality or expressions of dumb institutional complacency (or both). They are mostly "unconfirmed" by other averages. They are rarely technically strong, and are virtually always doomed to complete retracement by wave C.
Chances are its a "B" wave. "X" waves and "D" waves in expanding triangles, both of which are corrective wave advances, have the same nature. 8)"C" waves: Declining "C" waves are normally destructive. They are third waves and have most of the characteristics of third waves. The illusion through waves A and B disappear and fear takes over. "C" waves are persistent and broad. 1930-1932 was a "C" wave. 1962 was a "C" wave. 1969-1970 and 1973-1974 can be classified as "C" waves. Advancing "C" waves within upward corrections in larger bear markets are effective and can be mistaken for the start of a new upswing, especially since they unfold in five waves. 9) "D" waves: "D" waves in all but expanding triangles are often followed with increased volume. D" waves in non-expanding triangles are hybrids, part corrective, yet have some nature of first waves since they follow "C" waves and are not fully retraced. "D" waves, being advances within corrective waves, are as phony as "B" waves. The rise from 1970 to 1973 was wave [D] within the large wave IV of Cycle degree. The "one-decision" complacency that characterized the attitude of the average institutional fund manager at the time is well documented. The area of participation again was narrow, this time the "nifty fifty" growth and glamour issues. Breadth, as well as the Transportation Average, topped early, in 1972, and refused to confirm the extremely high multiples bestowed upon the favorite fifty. Washington was inflating at full steam to sustain the illusory prosperity during the entire advance in preparation for the election. As with the preceding wave [B], "phony" was a clear description. 10) "E" waves: "E" waves in triangles appear to be the dramatic start of a new downtrend after a top has been built. They are followed by strongly supportive news. That, in conjunction with the tendency of "E" waves to show a false breakdown through the triangle boundary line, intensifies the bearish conviction of market participants at precisely the time that they should be preparing for a move in the opposite direction. "E" waves are ending waves which show up sentimental as that of fifth waves. Practice is necessary to use Elliott Wave. We can derive satisfaction, if we apply the guidelines, eradicating non-conforming counts and observe the personality of the waves. We will have to make adjustments to the count we made to fit to the new data. This will give us more accurate wave - count and also enables to fine tune our skills. What is Bearish Flag Chart patterns? What is Bullish Megaphone Pattern?